A lifted truck or a 4×4 truck is a modified vehicle that is built for off-road adventures and various types of demanding work. The goal of a lifted truck is to protect its body by lifting it high into the air so that it has less of a chance of colliding with ground level objects or the ground itself. Picking out a lifted truck is a tricky process because it is such a unique and rare vehicle. 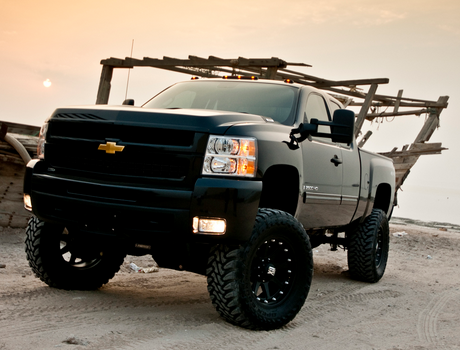 Below are three important things to keep in mind when for a shopping for a lifted truck in NJ. By raising the truck’s chassis, more room is provided for large size tires and wheels. These permit the truck to drive over bumpy terrain without harming the vehicle’s under-body. Yet large trucks can’t be raised and driven safely until their brakes are modified. Why? The reason is pretty simple. Larger tires and wheels have much more mass that will need stronger and larger brakes in order to allow the vehicle to safely come to a complete stop. Make sure that the lifted truck has modified brakes with larger than normal rotors and calipers that are capable of stopping the truck in a reasonable distance. Also, consider whether the tires that are currently on the truck are suitable for what you’ll be using it for. Lifted truck tires need to be specialized to fit the driver’s unique plans for the vehicle. Whether the driver will be using the vehicle for rock climbing, regular road travel, racing, or for use in sandy or water-filled areas, will determine the type of tires that need to be put on the truck. A lifted truck’s drive shaft length and angle need to be adapted so that the modified truck operates properly. A typical truck’s universal joint is constructed with a pinion angle of 1 to 3 degrees. A lifted truck’s differential pinion should not have an angle that exceeds 2.50 degrees. The vehicle’s slip travel of differential should lie between three quarters of an inch and an inch in order to compensate for the truck’s significant "give and take." 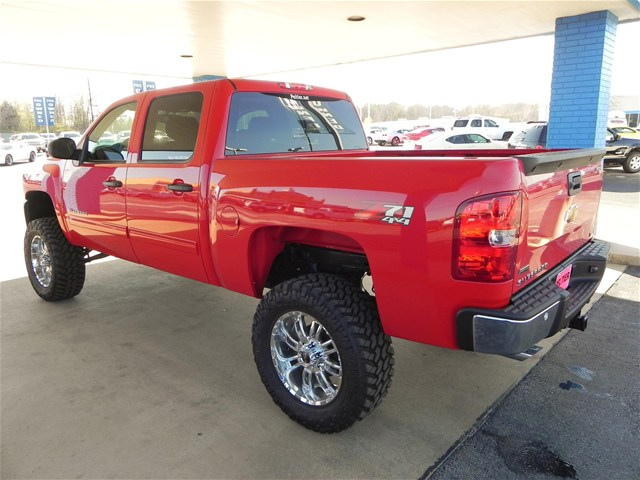 Drivers in the market for a lifted truck need to perform an exhaustive inspection of the vehicle just like they would with any other pre-owned automobile. Don’t be afraid to ask the dealer who owned the truck and how often it was used for off-road purposes. Ask what kind of lift it is, who installed it and if there have been any problems with it. Most lifted trucks are bought used so bring along a flash light and inspect the truck for crusted mud in the vehicle’s nooks and crannies. This will give the lifted truck shopper an idea of how much off-roading the truck has endured. 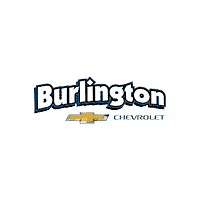 Be sure to check the truck’s U-joints, idler arm, half shafts and bearings. Shoppers should be a bit concerned about lift blocks on the truck’s rear axle as it is a tell that a cheap lift kit is being used. The best lift kits have fairly new if not brand new arched springs with suitable length to prevent odd shackle angles. Be sure to check the truck’s fluids including the dipstick’s level, its color and whether there is water in it. Also, examine the anti-freeze for the presence of oil. Finally, take the inspection to the road and see how the lifted truck performs on a bumpy terrain. Pay close attention to any noises that it makes, if there are any leaks, and how responsive the steering is.